Anna Jacobs grew up in Lancashire and emigrated to Australia, but still visits the UK regularly to see her family and do research, something she loves. She is addicted to writing and figures she'll have to live to be 120 at least to tell all the stories that keep popping up in her imagination and nagging her to write them down. She's also addicted to her own hero, to whom she's been happily married for many years. She is the bestselling author of over sixty novels and has been shortlisted for several awards. Pride of Lancashire won the Australian Romantic Book of the Year Award in 2006, and The Trader's Wife is on the shortlist for the 2012 award. 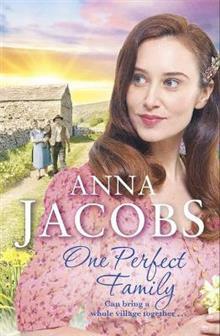 You can find out more on her website, www.annajacobs.com or on her Facebook page, www.facebook.com/Anna.Jacobs.Books.